Will Norris impressed during his debut season at Molineux, particularly when called upon in cup competitions. The goalkeeper, who signed from Cambridge United in 2017, kept five cup clean sheets from six appearances. The 23-year-old had made 93 appearances for the U’s and saved a club record of five penalties in his final, most impressive season at the Abbey Stadium. Norris joined Cambridge from non-league side Royston Town in 2012 and, after three loan moves, claimed the Cambridge gloves himself. 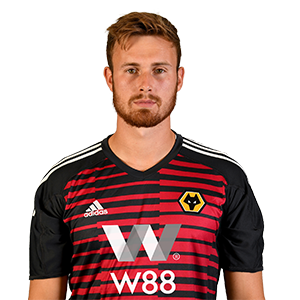 Following his move to Molineux, Norris made his debut in the EFL Cup success over Yeovil Town, keeping a clean sheet in the process.